Anaca3 Le Gel Minceur is one of several “Anaca3” weight management options brought to market by Nutravalia. The company is based in France and is probably responsible for developing more good weight loss products than any other company in France. The target demographic is French speaking countries: France, Belgium, Switzerland and Québec. So we’ve got high expectations for Anaca3 Le Gel Minceur right from the start. Let’s see if our expectations are justified. How Does Anaca3 Le Gel Minceur Work? Le Gel Minceur is a little different from other Anaca3 weight loss products because it isn’t taken orally. The active ingredients are housed in a gel that has to be massaged into the problem area (belly, buttocks, thighs, etc). Talk is cheap, but Nutravalia isn’t a company that makes a lot of empty promises. The figures they state are based on the data collected from a clinical trial. Twenty women took part and the data showed a 57% firming of the skin, a 50% reduction in cellulite, and a 6.8cm reduction in thigh diameter. Of course, it’s possible that not everyone will respond to the treatment in the same way as the individuals who took part in the clinical trial, but there is a good chance that most people will and Anaca3 Le Gel Minceur is backed by a money back guarantee, so it ticks all the right boxes so far. Caffeine: A popular weight loss ingredient that’s been added to stimulate the breakdown of fats and it should do just that because research shows caffeine encourages thermogenesis. This is a process where fat is burned and the calories that are released are lost from the body as heat. Spirulina: A species of alga that provides Vitamin E, tyrosine, and selenium. All of these components are known to be good for stopping the skin aging. When spriulina compounds are applied to the face they can provide softer firmer skin in as little as 20 minutes. Carnitine: An amino acid that stimulates the breakdown of fat. Carnitine is often added to beauty creams because it’s presence has proven to be good for firming the skin and getting rid of unsightly cellulite. Usage Guidelines – Each tube contains enough gel to treat a single problem area for up to six weeks. Example areas include, the belly, thighs, buttocks, and hips. The gel only needs to be applied once per day and it’s important to ensure the hands are clean and dry before the application is commenced. The gel has to be massaged in the chosen area, using a circular motion, until complete penetration is achieved. No side effects have been reported and, bearing in mind the fact that Anaca3 Le Gel Minceur is a topically applied weight loss solution that’s powered by 100% natural ingredients, the chances of negative reactions are slim to zero. However, anyone who has doubts about product suitability is advised to get a doctor’s advice before they start applying any gel to their body. Anaca3 Le Gel Minceur has a money back guarantee that lasts for the full treatment period, plus an additional 10 days. Anaca3 Le Gel Minceur contains a few good ingredients that should be capable of giving the formulation the power to do all the things the manufacturer claims. Customer reviews also suggest this, the price is reasonable, and let’s not forget there is a money back guarantee to provide customers with extra peace of mind. We are more than happy to give Anaca3 Le Gel Minceur our highest recommendation for use as a standalone product for targeting cellulite and body fat that has built up in stubborn areas. We also believe it will be a good companion product for Anaca3 Perte de Poids or Anaca3 Ventre Plat. You can buy Anaca3 Le Gel Minceur from the manufacturer’s website and each (150ml) tube provides enough gel to treat one area of the body for up to six weeks. A single tube costs 29,90 €. That’s a very reasonable price and people who wish to treat multiple areas of the body can buy up to four tubes together and receive a discount of up to 10%, along with a free measuring tape and unlimited weight loss coaching. Curcumin 2000 is a supplement that offers a range of health benefits and can be particularly good for reducing inflammation. The official website makes a big deal of the fact that the bodybuilder David Lyons considers the product a major ally in his fight against multiple sclerosis (MS), however, although his story is inspirational, people considering buying Curcumin 2000 need to bear in mind the supplement is very versatile and should not be dismissed as a product that is only a supplement for people with MS.
Curcumin 2000 is supplement that provides two key ingredients blended together and encased in a gelatine shell. Unfortunately the use of gelatine will make this product unsuitable for vegetarians, but anyone who is desperate to reap the benefits provided by Curcumin 2000 could consider consuming the capsule contents and then discarding the shell. The product is marketed in a way that may make it particularly attractive to bodybuilders and other athletes who train hard and need a good way to reduce post-exercise muscle and joint pain, but it should equally suitable for anyone who wishes to rid their body of muscular aches and pains. The fact that the main ingredient can boost mental function may also make it a good option for people who find it hard to concentrate at work and for students who need to “cram”. Most people would relish a stronger immune system as well, so this little pill seems to have a lot to offer. Usage Guidelines – The recommended dose is one to two capsules, but a maximum of three capsules per day is allowed. There are no hard and fast rules about when the capsules should be taken, but the manufacturer suggests taking them first thing in a morning, with a meal, or just after a workout. 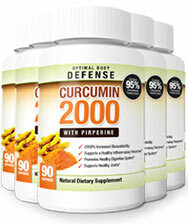 Curcumin 2000 contains a proprietary blend of turmeric and black pepper. Although that sounds like a combination that is better suited to a curry recipe, these two ingredients are hot stuff in other areas as well. 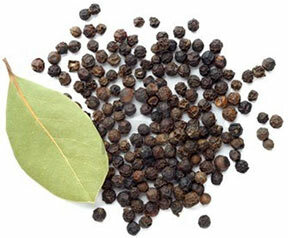 Black pepper contains a compound called piperine that can help other ingredients be absorbed more easily. 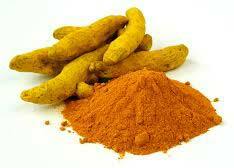 It often paired with curcumin (found in turmeric) because the body is not very good at processing and absorbing it. No side effects have been reported but women who are pregnant or nursing a child should always seek medical approval before taking any brand of supplement. The same advice is offered to people who have existing health problems and to anyone who is using medication. The manufacturers offer a 90-day money back guarantee. Curcumin 2000 is a quality product that takes a good ingredient (curcumin) and makes it better by ensuring the quality of the extract is higher and making it more easy to be absorbed. Customer reviews show the product works, and there is money back guarantee, so anyone who is looking for a supplement to help reduce muscle and joint pain, or improve their recover times (after work or training), has nothing to lose and everything to gain by giving this one a go. You can only buy Curcumin 2000 from the official website and the price is $59.99 for a 30-day supply of pills. Bulk buy discounts are also available and people who order a few extra bottles can save nearly $20 per one each one.